4 piece towel set embroidered with a name or initials of your choice. 4 piece towel set embroidered with a name or initials of your choice. 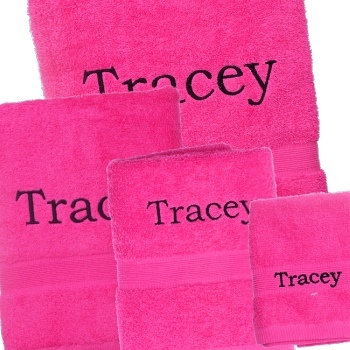 Select the towel colour you would like then choose the embroidery thread colour and font style for the personalised name. 100% cotton 550gsm towel set.